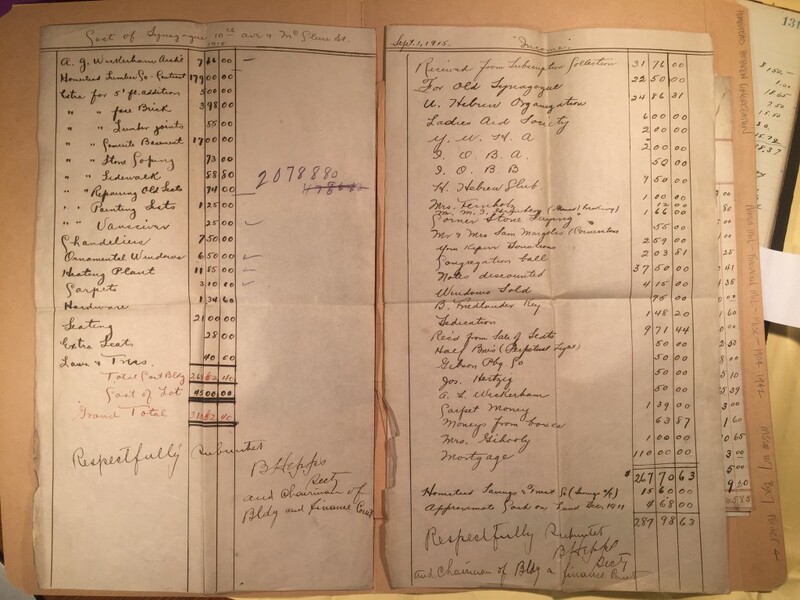 This remarkable document itemizes the expenses for building the new synagogue on 10th Avenue and how they were offset by the money the shul raised through donations and the mortgage. Naturally I love that they were signed by my great-grandfather, the chairman of the building committee! Upon closer inspection it seems like some of this information could not have been known until after — like the amount of money raised at the dedication or the sale of seats, which continued through the High Holidays. So, perhaps Bernhardt was called upon to produce an updated report a year later after everything had been settled. While this report answers many questions, it does not address the one that has vexed me all this time — where did the aron kodesh (ark) come from?? ?